If you creep Amazon like I do I'm sure you've seen TSnow's books as a permanent fixture on the bestseller list. I've always been curious about Kathleen Turner because a self-published series can't stay on top like that with stellar ratings if it's chump, right? Series starters can be sticky too because some elements of the story suffer to give way to the setting or some other reason. 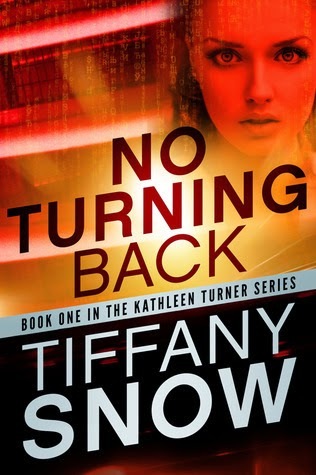 NO TURNING BACK is no such thing because TSnow hit the target in as far as creating interesting characters, simple but effective setting, a thorny romance, a compelling mystery, thrilling suspense and enough hairy situations to keep any reader engaged and glued to its digital pages like white on rice. Let me focus on the characters because the blurb perfectly summarized NO TURNING BACK and this romantic suspense is very character driven. The heroine Kathleen Turner really went through some great character building exercises here that forced her to toughen up and change in a lot of ways. She started as this meek, unassuming, clumsy, and sort of a doormat in Blane Kirk's law firm. This girl next door vibe was short lived because shortly after, her friend Shiela got murdered and Kathleen took it upon herself to start digging until she found herself in the middle of a quagmire. After several life threatening incidents, it's no surprise that Kathleen shed some of her softness to cope with the events. It really boiled down to survival for her and this chick is tough as a roach and resourceful too! NO TURNING BACK is heavy on the romance but light on smexiness. TSnow kept the focus on emotional intimacy rather than the physical which I liked because it kept the plot in perspective. There's no outright love triangle but from the way things look and the spoilery blurbs of the succeeding books, the romantic conflict is going to be a ball buster. Girl next door, Kathleen, found herself attracted to two men and half brothers at that. I guess she has a certain "type" and these two fall on that category perfectly. First we have Blane Kirk, a former Navy SEAL turned lawyer, rich, successful and charismatic. Then there's Kade Dennon, dark, edgy, magnetic and forbidden because there's some unspoken dibs Blane has on Kathleen. 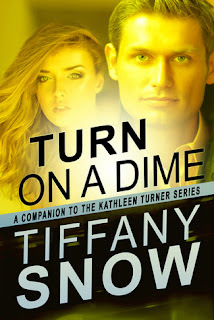 Both guys are bad boys in their own way, both can break Kathleen's heart to a million pieces and both are so irresistible it's only a matter of time before this little set up gets very complicated. And there's nothing like romantic intrigue coupled with danger to liven up a story/series like this. This explosive romance alone is enough reason for me to keep on reading the books! To long-time TSnow fans, I apologize if I didn't give you anything new here. I started the series late and I'm sure some of my reflections might not be applicable anymore based on what's currently happening in the Kathleen Turner world. 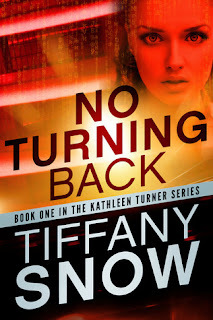 NO TURNING BACK sure left a great impression on me, it's a solid debut and did a great job in piquing my interest and whetting my appetite for more of Kathleen, Blane and Kade. 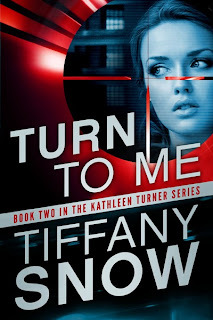 And if NO TURNING BACK is like the rest of the series, then TSnow's Kathleen Turner is a must read to all romantic suspense readers out there. 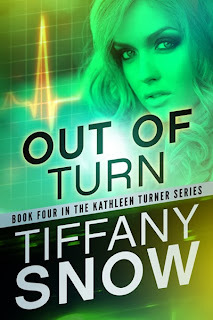 Kindle copy of OUT OF TURN. Be a GFC follower & leave a comment with your email address or Twitter handle below to qualify. Kathleen’s too young, too innocent, and suddenly much too vulnerable when her friend is murdered andBlane knows she could be next. Keeping her alive means keeping her close, but can Blane keep her safe...from him? Kathleen’s like no woman he’s ever met, and protecting her could be the one thing he never expected that would make his life turn on a dime. 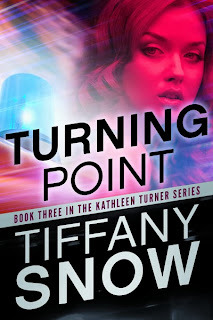 Someone in the shadows is stalking and terrorizing Kathleen, and Blane must lose a trial with far-reaching ramifications if he wants to keep her alive.Blane turns to assassin-for-hire Kade Dennon to keep Kathleen safe, a strategy that may backfire in more ways than one. Though Kade swears he hates her, he’s helpless to guard against things he’s never felt before and when they’re together, Kathleen sees something forbidden in his eyes. 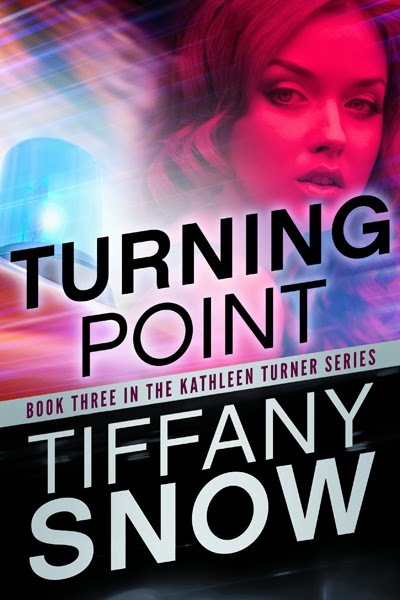 After her promotion from law firm Runner to Investigator, Kathleen Turner is learning the ropes of her new job from none other than assassin-for-hireKade Dennon, a situation her boyfriend Blane Kirk is none too happy about. But the lessons with Kathleen take a back seat when Kade becomes a target. Previously untouchable, his enemies now know of the chink in his armor – his brother’s girlfriend. 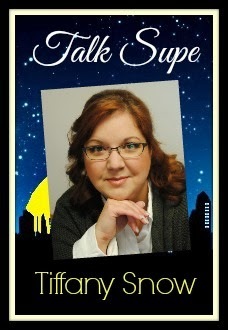 If you like romantic suspense, you'll definitely love her books. This sounsd like an awesome series. Thanks for sharing it and for the giveaway. 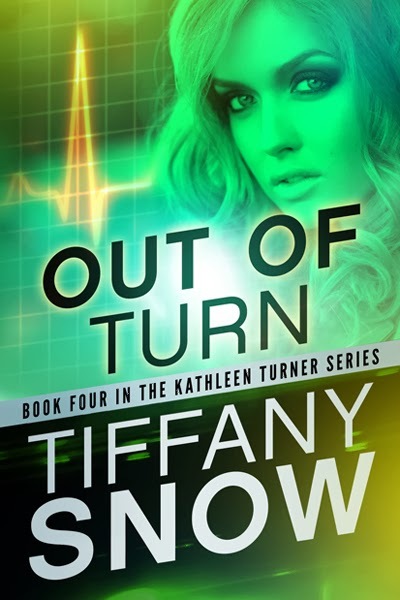 I haven't read anything by Tiffany Snow, but after your review I'm sure going to fix that. I'm hoping you'll get into it. This series sounds great! And I am loving the compare to a Shonda Rimes show. Thanks for the great review! Scandal is such a guilty pleasure right?! I love romantic suspense and this character driven story has me oh so curious, adding this one to my list. Thanks! I know you love RS too! I see some good ones over at your blog on a regular basis. I haven't tried these yet. Don't even remember seeing the covers! Definitely gonna have to fix that. Half brothers, huh? That sounds like it could add a nice little bit of drama later on. *groans* i LOVE, forbidden, dark, edgy men! must you taunt me with such sexiness?? >.< LOL I hadn't heard of this series before, Braine. Thanks for putting it on my radar. Love the review. I'm glad it's not all physical and it gives the characters a chance to actually develop feelings for each other! Love finding new to me authors!!!! Thank you for the giveaway! I love this series!! Actually you gave me a nice refresher since I haven't read the first book in a while. I loved it, but just never had an opportunity to keep up with the series. I will definitely be finishing b/c I love Catherine and both those brothers are great too. Oooh then you'll like this at least. It's not heavy on the suspense so for a newbie to the genre, you'll get into it real quick. I haven't read this series yet, but it sounds fantastic. Thanks for the chance! !!! 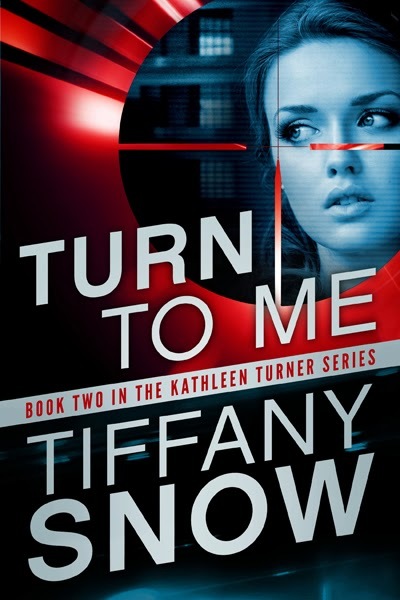 Its really good, solid romantic suspense. I haven't read the series yet. It looks terrific! I always enjoy the protagonist who isn't perfect--she's usually fumbling through life. And mystery on top of that? Excellent!! Love your books. Thank you for the great giveaway.